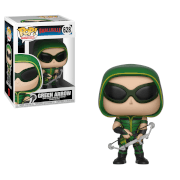 Team Arrow has a number or hooded heroes, including Oliver Queen's sister Thea, also known by her hero nick name, Speedy. Clad in her red suit and wielding her bow, Speedy is ready to fight along side your other Arrow Pop! Vinyl figures (sold separately). 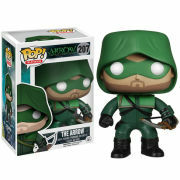 This Arrow Speedy Pop! Vinyl Figure measures approximately 3 3/4-inches tall and comes packaged in window display box.